If you’ve been watching the Great British Bake Off this month, there’s probably only one thing on your mind: Cake. But as we’ve mostly had our eyes on traditional-but-messy classics such as Victoria sponge and home made short bread, a new kind of cake has emerged on the internet. Baker Dinara Kasko was once an architect-designer and 3D visualizer before she got into baking - and we can totally see that influence upon her cooking. 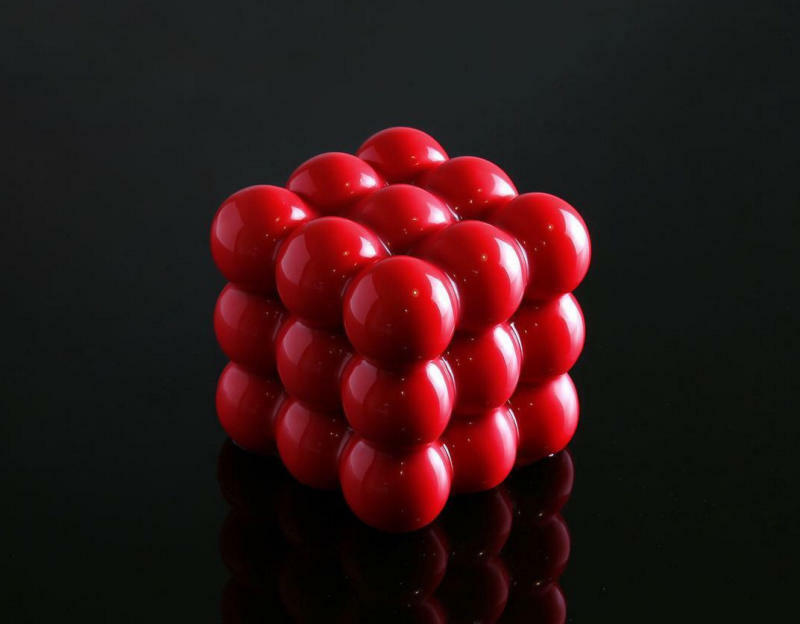 The Ukrainian pastry chef creates masterpieces in a variety of 3D and geometric shapes, topped with icing that’s pretty unbelievable - many of them look like something computer generated rather than edible. It’s not just about looks, either. Each cake is complex in its layers and flavours - this one is made up of a crunchy layer, sponge cake, cremeux and several mousses. To truly believe each one is real-life cake, look at a cross-section of one. Delicious, right? This one is made of “mousse lime-basil with Italian merengue, lime mousse-marshmallow, confit lime-basil, sponge cake, crunchy layer with almond”. “In general, element forming is one of the main factors for me as a designer and a pastry chef,” she said. Check out her Instagram account here. What do you think about Kasko’s cakes? Tweet us at @YahooStyleUK.